The unattainability principle (UP) is an operational formulation of the third law of thermodynamics stating the impossibility to bring a system to its ground state in finite time. In this work, several recent derivations of the UP are presented, with a focus on the set of assumptions and allowed sets of operations under which the UP can be formally derived. First, we discuss derivations allowing for arbitrary unitary evolutions as the set of operations. There the aim is to provide fundamental bounds on the minimal achievable temperature, which are applicable with almost full generality. 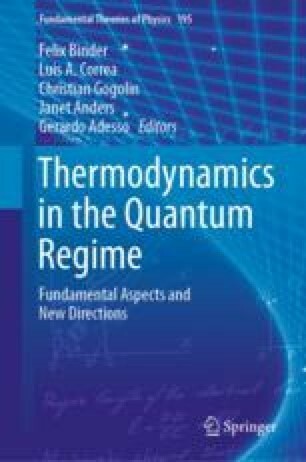 These bounds show that perfect cooling requires an infinite amount of a given resource—worst-case work, heat bath’s size and dimensionality or non-equilibrium states among others—which can in turn be argued to imply that an infinite amount of time is required to access those resources. Secondly, we present derivations within a less general set of operations conceived to capture a broad class of currently available experimental settings. In particular, the UP is here derived within a model of linear and driven quantum refrigerators consisting on a network of harmonic oscillators coupled to several reservoirs at different temperatures.